Scott Cohen spent his career working for media conglomerates, including a stint as executive editor for the digital arm of the New York Daily News. But after hearing about Vocativ’s ability to use analytical methods to hunt for little-seen stories lurking in the Internet’s long tail, Cohen was willing to chance a new career at an Internet-native startup. “What appealed to me was not only the ability to build something from scratch with really smart people but to be obviously on the cutting edge of digital,” explains Vocativ’s CEO. He’s not the only old-media character lured by the siren call of the digital world. Many traditional TV outlets are striking partnerships with young digital upstarts. 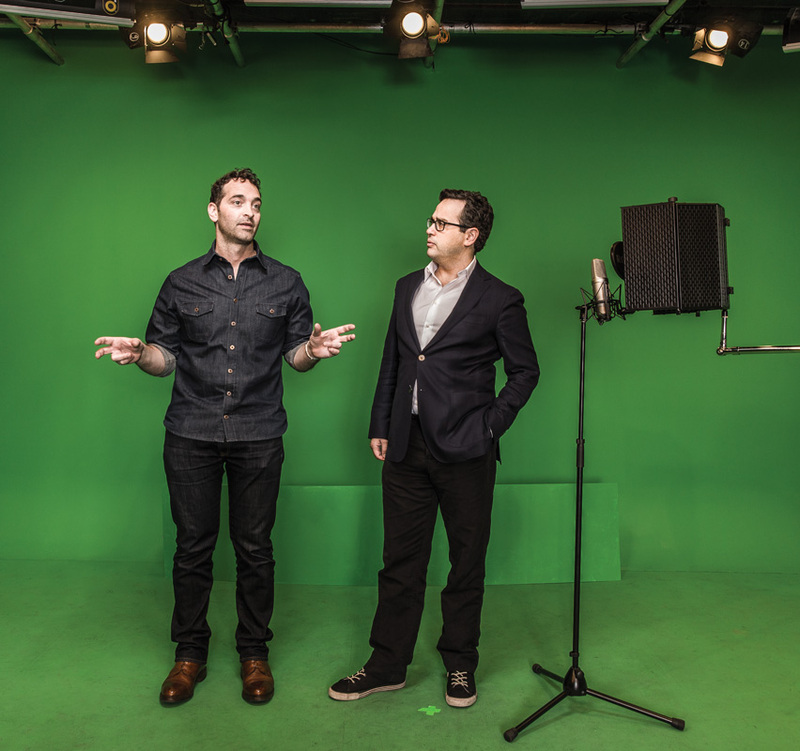 In late February, Vocativ announced a multimillion-dollar, multiyear partnership with MSNBC. Select videos produced by the Web organization appear on Ronan Farrow Daily, with an option to expand its content across NBCU News Group’s properties. “They are buying access to the ideas flowing out of this place,” adds Vocativ chief business officer Steve Alperin. NBCU also inked deals with digital video company NowThis News (NTN) and tech media repository Re/code. And CBS This Morning and BuzzFeed have teamed up. What’s going on? Established media companies may claim they’ve made inroads with younger generations, but they can’t deny the majority of their audiences skew older. Staying relevant means learning how to speak to millennials in a digital language. A study by Verizon shows that one-third of people born between 1981 and 2000 watch the majority of their video online. Overall, eMarketer discovered that adults 18 and up will spend 47 percent of their time on media this year perusing it on digital screens. Advertisers are reacting: For the first time, total digital ad revenue topped television revenue in 2013. “The line has blurred between what’s the first screen and what’s the second screen,” says Altimeter analyst Rebecca Lieb. Some traditional news groups are finding the quickest way to satiate demand for online video and content is to work with digital-first outlets. Media can’t survive only on the time-honored style of rigid journalism when metrics now include viral sharability and snappy items, argues Bill Grueskin, a professor at Columbia University’s Graduate School of Journalism. “Demographically significant audiences are migrating to this other content,” he notes. NPR saw an opportunity to expand its digital footprint when it asked daily digital magazine Ozy to produce a segment. Despite no financial remuneration, Ozy CEO Carlos Watson agreed. “Established media brands obviously have a big audience and a kind of credibility,” he says. “It is as important for news outlets to hold onto their viewers and be with them wherever they are and whatever channels they are in as it is for digital startups to ride on the coattails of bigger, established players to get visibility traction in markets,” adds Lieb. “I want to expose the brand to the 100 million monthly 18-34-year-olds that go to BuzzFeed that wouldn’t know there was morning television,” says CBS This Morning executive producer Chris Licht.